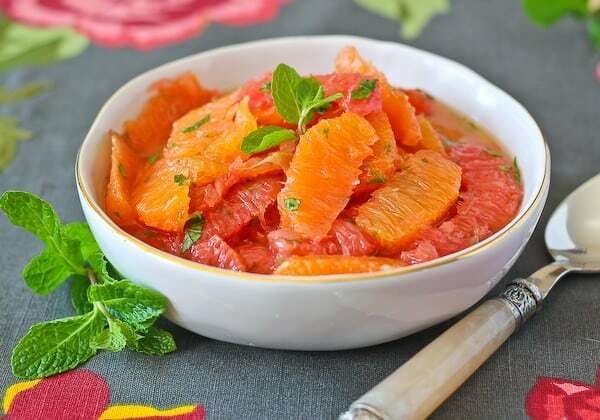 This citrus salad with mint, honey and lime is refreshing and flavorful. It would be perfect for anything from a party to a breakfast staple. I think it’s safe to say that I’m still in that weird limbo (thanks to Michigan weather) between winter and spring. I’m making the best of it by using up all that great citrus produce but mixing it with summer flavors so that I can pretend it’s warm and sunny out. Even if that means buying ridiculously overpriced mint at the grocery store. More or less, I’m just adding mint to all my recipes so that it feels like I’m enjoying a refreshing mojito even though I’m really just trudging my way through all that boring old winter produce. (Proof: Remember my Berry Mint Granita with Rum?) Sorry oranges and grapefruits, you’re getting tired. Step aside and make room for juicy berries. See, we’re all ready for summer here in Michigan. 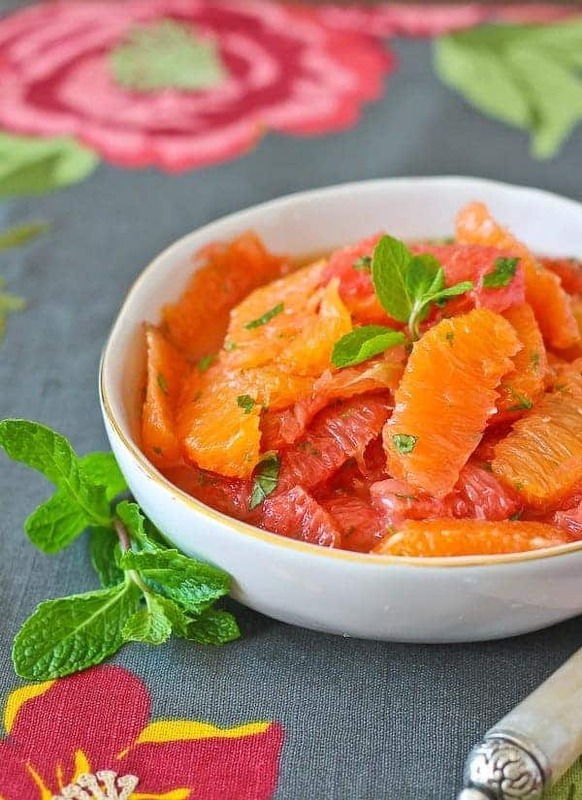 This beautiful citrus salad with mint isn’t only great for hot summer days (and breakfast pretty much any day), but it would also be great for a baby shower! 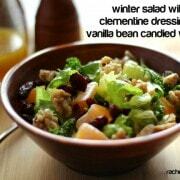 What shower wouldn’t benefit from a bowl of this beautiful salad? Another thing that is great about it is that since it is so light and refreshing, it’s a happy contradiction to typical party food which can fall on the heavier side. Today we’re celebrating Christina of Dessert for Two and her baby that will be arriving very soon with this surprise virtual baby shower. She specializes in desserts made for two (like these lemon meringue pie cookies) so I considered making a recipe for two in honor of her, but this is about the party! We need to serve a whole bunch of people because a whole bunch of people want to celebrate Christina. 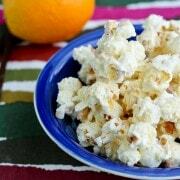 This recipe is easily doubled, tripled, or multiplied by ten to suit your needs. So, Christina, you’re going to have a baby. Hold on tight, things are about to get crazy in the best way you could never even have possibly imagined. There will be blood, sweat and tears and happiness and love throughout it all. I just know you’re going to be a great mom! Segment fruit over a bowl. To the citrus segments, add lime zest, honey, and mint. Stir to combine. 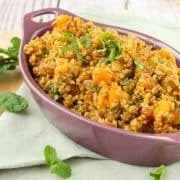 Serve immediately or store in fridge until ready to serve. Husband’s take: I already mentioned it above but he really liked this too. (Yay!) E wouldn’t try it because there were green things in it. I didn’t force the issue this time because I wanted to eat it all myself. Changes I would make: None are necessary. Feel free to substitute your favorite citrus if you don’t have or don’t want to use the ones I used. Difficulty: Segmenting the fruit is slightly time consuming but other than that, this recipe is super simple. Make sure to hop around to all the other virtual shower recipes! They all look amazing. So glad you liked it! Thanks for taking the time to come back and leave feedback! I’m so ready for summer to come, too! I’m tired of the cold-mornings-but-hot-afternoons days :) Will need to make this salad with the hope of speeding up summer-time! I love this! Definitely would be perfect for a baby shower or something brunchy. Pinning and sharing! 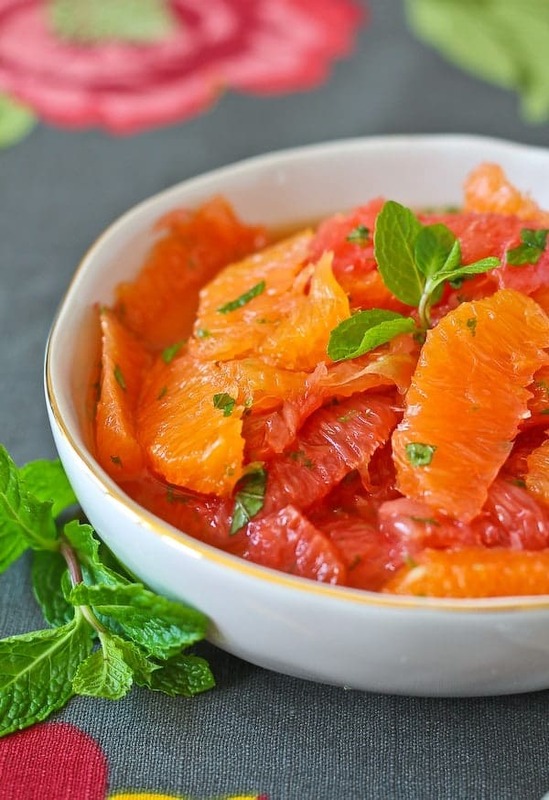 I love the combination of mint and citrus – it is so light, bright and refreshing! So sweet of you to participate in this virtual baby shower! 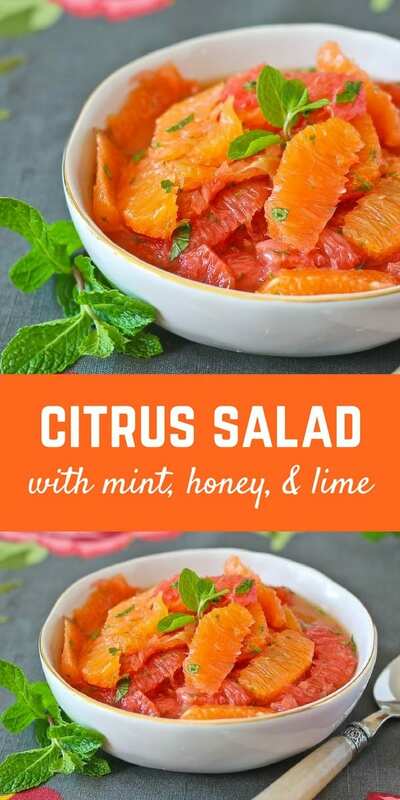 This salad looks delicious- I’m so in love with citrus lately and have pinned this recipe to try! 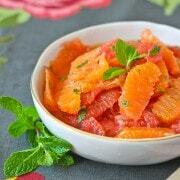 I love Cara Cara oranges and pink grapefruit and honey and mint and lime. 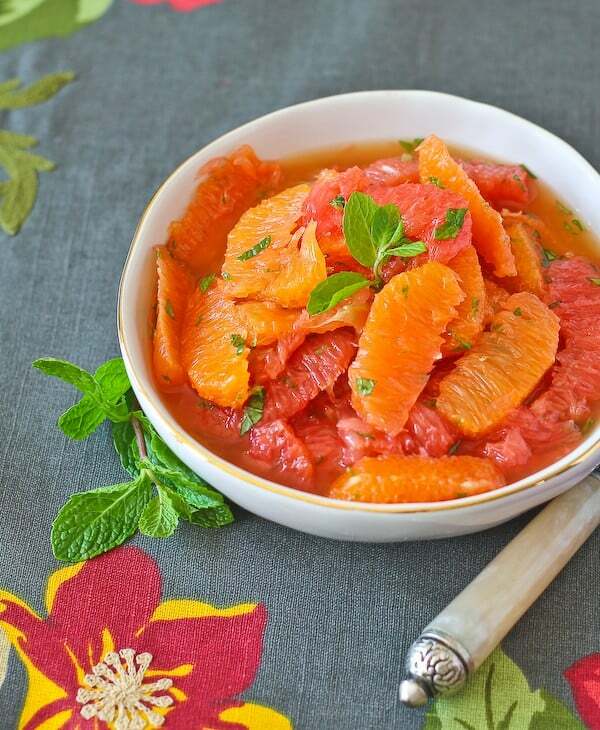 This might be a limbo-winter-spring-citrus salad but it has all the color and zest of spring – sign me up!! How gorgeous! I could eat citrus year-round. This lovely salad would be perfect any time of the day. This looks so refreshing and absolutely delicious! It looks like the perfect dessert or side dish! I love this salad. So fresh and bright and the honey lime mint dressing is insane. This looks so pretty and fresh! I would love a big bowl of this today!! Bring on spring flavors! This is pretty much my perfect spring salad! Glad you brought this to balance all the sugar going on! Love this! The colors in this just pop, absolutely gorgeous Rachel! What a delicious, light and refreshing salad! Perfect for summer! Beautiful salad and so simple to make. Love the mint, honey, lime combo!